In a democracy, the public should have the right to know what the government is doing. Secrecy should be the rare exception, reserved for a few cases in which the national security is truly at stake. This book is the hearing before the Committee on the Judiciary, United States Senate that took place on February 13th 2008. While considering the state secrets privileges, assertions of the privilege by the executive branch were examined as well. The state secrets privilege is a common law evidentiary privilege that shields sensitive national security information from disclosure in litigation. The government is the only party that can assert the privilege, and application of the privilege can result in dismissal of civil litigation. 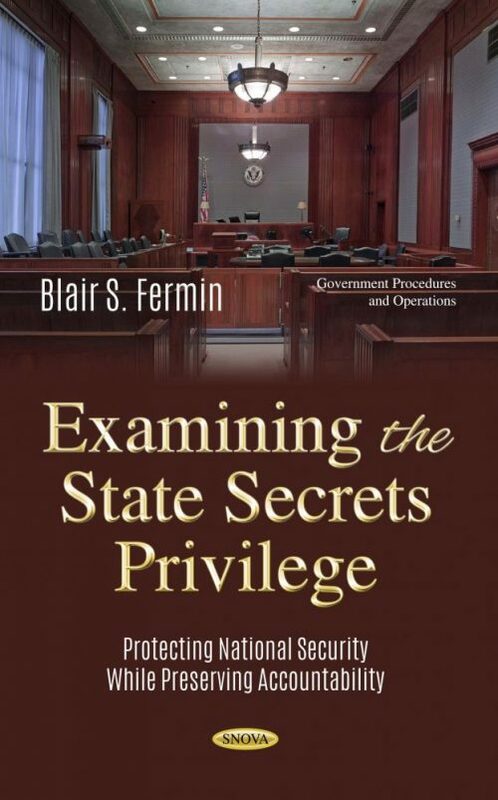 The United States Senate, in this book, discuss the importance that courts act as an independent check on the government when it asserts the state secret privilege. It proposes a policy designed to promote a meaningful, independent review.